Doug Does Life | A Creative Monkey On How To Find Your Path In Life. Follow along with Doug and me as we discover a new path in life based on our wishes and dreams. Our new series has been launched. Follow along as we help you to Connect With Your True Self. We created a step by step path discovery project that you can follow along with (and do yourself with the how- to) called Find Your Path In Life. If you want to see a larger version of an image, just click on it… Images… I draw all of the images on paper, photograph them with my phone and upload them. Often I’ll do a bit of manipulation before uploading them here… I’m having fun drawing in a sketch book, just like I did back in the 80s. Are you unhappy with you life and/or your career? Follow along with our Finding Your Path In Life Series. In it we present our own story and easy to follow exercises so you can pin down exactly what you want to do with the rest of your life. Need help with career decisions? Look no further! Doug likes inspirational pins. We collect the ones we like and share them in the evening. We try to find ones that sum up the day we had. Here’s our Linkedin page, in case you need some extra monki-ness to up the creativity quotient of your endeavors. We’ve developed our skills from an eclectic background and a drive to create. Take a look at our bio if you feel like it. Comment, ask questions and offer suggestions. It’s monkey time! I love it! Doug is adorable! Thanks Pat… Your blog is interesting and I’ll be reading it regularly… Thanks for the compliment. Thank you kindly, for visiting my new blog and becoming my first follower. Wish you all the best! Thanks for the compliment! Yes, your monkey caught my eye… It reminds me of my monkey, Doug. I’m glad I’m not the only one who draws in my sketchbook, take photo with my camera then upload it to my blog. I enjoy drawing with actual tools onto actual paper. I’m mainly a sculptor, so maybe that’s why I prefer working with physical mediums. Physical mediums is my thing also, no technology can replace that. Thanks for the like! About to go through your posts now! Thanks in return… I’m looking at your stuff now! Love kickin’ it old school with a sketchbook! Fun blog! Thanks for checking mine out as well, I look forward to seeing more of Doug! Thanks Doug for following my blog and I enjoyed looking at your page….. it is good to belong! Hi, Doug. Jack and Spec wanted to say “Hi. Nice to meet you.” Thanks for following my blog. I am looking forward to checking our your drawings. Have a great day! Hey Doug, I find your blog amazing and would love to read more of what you will post with time. Thank you for reading my blog. cheers! Thank you for following my web/blog Doug! You have a very giving web/blog and I look forward to discovering more of what you have to share. Have a great day brother. I will be sure to share them. 🙂 Thank you! Thanks! I was drawn to your blog by your old school skate illustrations… I’m an old greybeard now, but have been skating for almost 35 years. whoaa, i should be ashamed. I gave up years ago after i fell down so bad back then. I knew. I was a monkey! I love colored pencils too. Your blog looks great. Thanks for stopping by mine. Thanks! You blog looks good too. Thanks. I forwarded your link to my son. Hes needing so e creative inspiration. I think hell find it here. I also recommended The Artists Way to him. The Artist’s Way is a helpful book… I read it in the past but didn’t finish all of the exercises… Journaling three pages a day and creating no art was too much for me… Thanks for sharing my blog. Im not certain if many people do finish it once the creative juices begin to flow. I think I did one page a day. You are right about that. Thanks for stopping by at my blog though… really appreciate it. Thanks for dropping by. I appreciate the compliments. Fascinating blog. Love the monkey. Intrigued to see where this takes you! PS Thanks for visiting Born Again Writer. Blogging is a great way to connect with people, no? Thanks for visiting… Yes, I’m enjoying the connections I’m making through blogging… It’s a rewarding experience. Is the monkey near-sighted or far-sighted? I’m so glad I discovered this blog today. Thanks! He’s neither. He just thinks the glasses make him look smarter… He’s wrong a lot. I nominated you for an award. Enjoy! Very creative. Love Doug. You are a master of your art. Thanks for the like! I hope you will visit again soon and often. Your blog looks unique and very good! Namaste. . . . Very pleased you called by my page so I could discover you & Doug – and your crazy chickens! Thank you for your wise words here, a creatively lived life is definitely the path I’ve chosen – and I love it! Thanks for stopping by. Doug likes chickens too… fried. Thanks Doug your visions are very rewarding I will be following your future writings Blessed Be! Thank you for like,Dear! I hope you will visit often. You blog looks unique! Thanks for dropping by! What were you expecting to find? I’m not sure, possibly a very pointed sales pitch? Good! I’m glad we made you smile… And we are far from salesmonkeys… I can’t talk anyone into doing or buying something they don’t need. Welcome! it is quite a wild ride with ups/downs, spins and turns but it has probably developed me into a far better person. I have learned patience, empathy and possibly everything known fact about ninja turtles and power rangers 😉 It takes on the job training to levels never imagined before. But we get through it. Have a wonderful day! Thanks Julie. I’m not sure what direction to go in with this. A book is a possibility. We’re at the stage where we need to figure out a direction in which to grow and share our stuff (our being Doug and me). Very cool, your on to something. Definitely. Good luck. Thanks for stopping by my blog. Great site! Thanks for visiting mine. I appreciate it! 🙂 Have a wonderful day. Thanks for visiting and following! I look forward to following yours as well. Very cute monkey and monkey’s companion! Love Doug, wonderful sketches! Thanks for liking my blog post, I’ll be back! Thanks for commenting on my blog – Waking of the Bear. I will follow your posts, as they seem to be right down my alley. You have been nominated for the Dragon Loyalty Award. Congrats and do as you will with it. Thanks for stopping by my blog so often. Thank you Colleen! I appreciate the nomination. Your drawings a beautiful! I’ll be hanging around here too. Thx for liking my post. Well, now you know what to do next… I’m sure you have a pencil nearby… Share what you come up with! Life has been beyond hectic lately and I guess I forgot about my passion for drawing. When I get around to it I will definitely share! Thanks again! I hear you about hectic… Sometimes the last thing I want to do is draw Doug… But I make myself, and end up having fun doing so. This is a terrific project! A truly worthy follow it is. I look forward to what looks to be massively sweet content. Hey Glenn- Tanks for the compliments. I hope you find some useful bits here. Thank you! I check the blog reader a lot and came across your post… I think I was searching with the keyword “creativity”. Thanks for liking the quote I posted! Cute and artistic site, I’m following. Thank you for liking my blog! Here to show some love back….I got booted off my computer last night as I started digging through your blog….so I am back this morning to check you out again. Have a wonderful day! Thanks for stopping by. I hope you find some useful tidbits here. Hey, I started looking around your blog. I really like your art and writing style! Thank you for the like. Just beginning. Your artwork is wonderful. Following you. Thank you! I appreciate the nomination. Thanks for liking my post…greatly appreciated! Looking forward to your support. Just browsed through your blog and I liked it. I am so delighted to have a chance to explore your creative works. My thirteen year old daughter will enjoy your blog as well because she shares in your passion for art. Thank you for taking the time to explore our blog as well. I look forward to following have an awesome night, Allie. Hi Allie- I’m glad you stopped by our blog. I look forward to reading more of yours. Has your daughter uploaded any of her art? Hello Doug, Rebecca is going to be doing a video of her drawings from this year. She has drawn a lot, three sketch books of drawings! Thank you for being interested in her art. I will let her know. Helloooo Doug! I am totally with you on the matter of colored pencils… and monkeys… and living a monkey life! I am so glad you visited my site so that I might be able to latch onto your site and share a bit of monkey business. Can´t hit the like button on these internet caffes computers so….LIKED very much your mission statement. Looking forward to reading more of your post´s when I have a little bit more of time. And thanks for stopping by my cray un paid blog. Hi Charlie- Thanks for dropping by. I hope you find some useful stuff here. We’re trying to remain true to our mission statement! I sure will try to read more, it is usefull. Especially at times like the ones I have to live rigtht now. Thanks Lindy- I hope you are repeatedly amused by our posts! We’ll done blog Doug ! I look forward to reading more from you. doug looks like quite an upstanding fellow! thanks for liking my latest post. Thank you for visiting my page. I like your idea with your blogg. I’m now a follower. I like your monkeys. And I don’t like monkeys. Thanks Joel… Doug is a likeable monkey… sometimes. You have an interesting blog here. Continue the good style. Thanks for stopping by Irene. Great creatives, thanks for the like..
Great! Thank you and thanks for reading. Hi John and Doug, Thank you for liking my blog, http://www.englishmanual.wordpress.com. That gave me the opportunity to have a look around your site. Love it! I’ll follow along for a while. All the best. I’m honored that you took the time to visit my blog and like “Romancing the Raven,” Doug and John. Looks like you have a sweet blog here and I’m excited to learn more about it. All the best! Hello! Thank you for liking my “Space Monkey”. You we´re the first ones to like anything on my brand new blog. Huzzah! I´ve been a blogger for about a week now. I´m certainly going to take some tips from your blog, it seems to be a very nice one. Best wishes ! 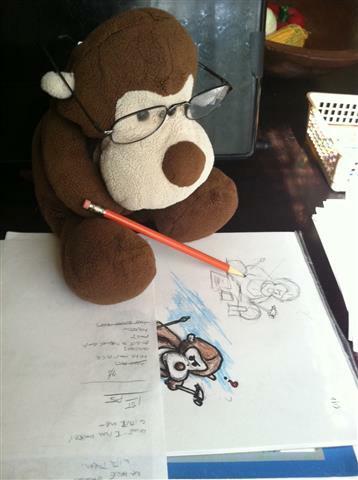 Thanks for stopping by- Your space monkey drawing is great… Anything monkey catches my eye, for obvious reasons. I hope you find some useful tips here… My suggestion to you is to search keywords in the reader that interest you, find blogs with these keywords and read them. Then, comment on some posts. Interaction is the quickest way to build an audience, at least that’s what works for me. Good luck! Thanks, great tips! Have a nice rest of the week. Immediately charmed by your blog. Looking forward to spending more time here. Dinner first, though! Thanks for reading mine! Good! I’mglad you came by for a visit. To me it seems Doug is to you as Hobbes is to Calvin! A good observation. I am a huge fan of Bill Watterson and his creations. Thank s for stopping by. Hi there, thank you for liking my post..Hv a great day! Thanks for dropping by… Keep up the scribbling! Thanks for dropping by my blog. Doug seems like a real character!! hahaa, will keep an eye out, have a great week! Hi Elizabeth- Thank you, and thanks for stopping by! Thanks for your liking my post..! 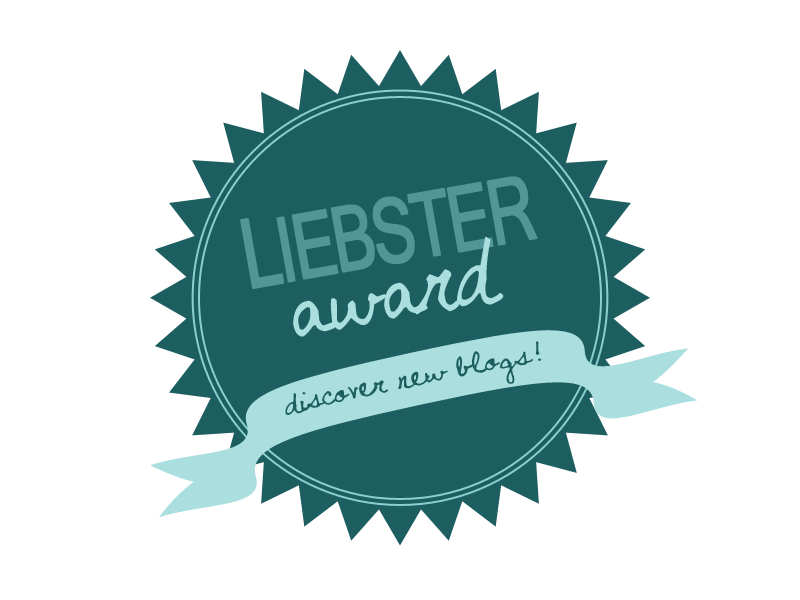 !… your blog sounds interesting…worth keeping bookmark of it..!! I will check out your post, “Find your path in life” . Writing is my life at the moment, and photography and dogs. Employment has been knocked out of sight so, you will hear more from me as I often ask simple (sometimes stupid) questions. Hey Maria- I’m glad you’ll be visiting my blog. I enjoy your photos…Ask away, if you have questions… I don’t mind. There’s no such thing as a stupid one. I look through the reader to find new and interesting stuff. Your post caught my attention. Hey Greg- Thanks for the compliments. I’m glad you appreciate our posts. Thank you for following my blog. Many of my students are very unsure of which career path to pursue but I do believe that your ‘finding your path series’ would be very helpful to them. Will be recommending your blog! Thank you for following my blog Doug. you have a very interesting and fun blog, I will stop by often. Thank you so much! Hey Doug, thanks for the like. Your blog looks pretty sweet. I look forward to exploring it. You had me at monkeys…. Isn’t it ironic that I love and collect monkeys? Thanks for looking at my new blog! Thank you for sharing your “Find Your Path in Life” exercises mentioned in Passionate Problem Solving’s blog (sorry, new blogger here and I don’t yet know how to link to their blog in this comment). I look forward to the journey! Hey Liane- Thanks for stopping by! I know the blog you’re speaking of… She wrote a great post about my blog. I’m glad you decided to follow along. I’m working on a new series now titled Connect With Your True Self… It has 24-ish posts so far… Take a look at it as well, if you’re interested. Hey Doug, a grown man holding a toy monkey writing about the really big themes in life. Pure genius. Thanks for the like, by the way. I’m a tiger in Chinese astrology, consequently the tiger comes out when I am faced with power issues. But I also find that animals come into my daily life to teach me issues I need to deal with in the moment. For example the echidna has appeared (yes I live inAustralia) when I need to deal with boundary issues or the kangaroo when I need to hop away from situations. Hello- If we pay attention we’ll notice animals appearing throughout the day. I hate spiders but one almost landed on my face a few days ago… I took it as a clear sign to listen to what it was trying to tell me. Living in the USA, I don’t know what I’d think if a kangaroo came to me though! Probably want to hop away too! Hello Doug. Thans for visiting my blog. I’ve had many experiences with animals in the wild, particularly an old crow that would follow me on my morning walks and talk with me in the most unusual ways. I’m sure I met two of his cousins at the Grand Canyon one evening. The male buzzed my head and cawed at me then dove down into the canyon. A minute later, her returned with his mate and they soared up, over my head, doing a pirouette as they climbed, Then, exactly as the sun was setting, they dove straight down into the canyon, not to be seen again. They were telling me to dance the dance of life; enjoy, be happy and be free. I visited the Grand Canyon a few years ago. When I walked to the edge and looked over, a raven flew by far below… I’ll never forget that. HI Doug, I like what you have done with your blog. Need to get my kids to help me with layout of mine. Animals are an integral part of our life. Some people are not aware of how the animals in our life are a reflection of what is happening in life. The animal kingdom is an integral part of our life as my husband is a Medicine Man. He started doing ceremonies in his mid-twenties. The first animal totem ceremony I participated in helped me to re-establish my relationship with my totem the Dove. I know call my totem Freedom Dove’. Hi Dove- Thanks… Animals are a large part of my life as well… I’m a shamanic practitioner and look to animals for guidance every day. I’m glad you are on the mend from that wicked bout of illness, Doug. 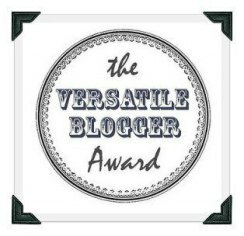 Cheer up from me: I have nominated you for the Versatile Blogger Award. i love this post. Thank you for stopping by on my blog. Have a good weekend. Thanks for liking my post 🙂 I’m going through your blog and it looks really interesting. Looking forward to reading your ideas. Very cool, thanks for the smile! 🙂 You blog made my day brighter! Excellent site! Super fun and cute! Thanks for liking my blog – I like yours, too. Love Doug!! Enjoy reading your blog…its wonderful…thank you for liking my post…..keep going….. Thanks for following my blog. I’m curious to see more of your stuff. Thanks for your like on “out on a limb’. i like your menu set up with “all posts” placed after what your blog is about, and of course your work itself. I emphasise the whole body, whole self or whole being as who is alive in creation, the True Self, as distinct from our self and our reality that are parts projected, or created and placed, by the whole body’s Central Nervous System. From stuck in our fate in the human condition, identity identified with what it experiences, our part in relation with who is in and of reality, our destiny in a relation with our whole. Thanks for stopping by- I tried to set my blog up to be intuitive for readers… I’m thinking about revamping it though. Thanks for looking/liking the sculpture posts. Hello , how are you , I am nominating you for MOST INFLUENTIAL BLOGGER AWARDS, as i like your writing a lot, so inspiring and true. Hey Gerald- Glad you stopped by. Hi Doug, I just dropped in to say hello after you were kind enough to ‘like’ a post on my blog ‘Killing Me Softly’. Many thanks. And I’m so pleased I stopped by. I think yours is about the cutest blog I’ve come across so far – not to trivialize your content, which has a lot of depth, but you’re gifted with being able to uplift people and make us smile while also teaching. It’s a delightful way to share parts of the journey. My own journey has been little heavy recently, hence the topic of abuse that I speak so much about. You might find my other blog more ‘up your alley’ – https://soulandspiritmusings.com I’m really interested in hearing and contemplating others’ experiences of spirituality and hope to write a book on the subject in the near future. In fact, I’ve already begun. Well, enough prattling…I do tend to ponder and ponder. Thanks for Doug. He’s sweet. Hey Don- Thanks for the nomination! I love it!!! Keep spreading the message, Doug!! I really missed you guys. I hope all is well. Wow just discovered the delights of Doug! I plugged your blog in a blog post. I hope it doesn’t make you too unhappy. I said your blog is really funny.